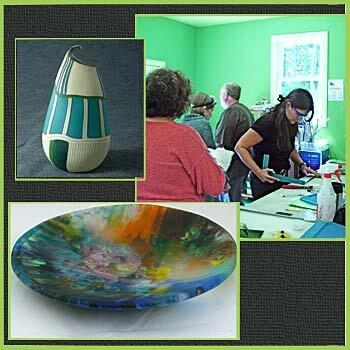 At Glass Inspirations Studio we are dedicated to the art of fusing glass. Classes are available for students with all levels of glassworking experience. Our brand new 700 sq ft teaching studio offers students all of the tools and equipment needed to create their designs from start to finish in a comfortable air conditioned setting. We have access to the complete Bullseye product line. Copyright 2019 Glass Inspirations, All rights reserved.